In industrial processes like manufacturing, dirt, grime, wax, oils and other contaminants can build up and accumulate on the surface and in the small crevices of intricate parts. With continued accumulation, the quality and effectiveness of parts and components can be significantly reduced. Cleaning these parts by hand is not only time consuming but it’s virtually impossible to clean in some of the tight grooves and gaps that are in the more intricate parts. Ultrasonic parts washers are the answer to this problem. They clean every inch of the part, and they are also much faster and more consistent than any other alternative. 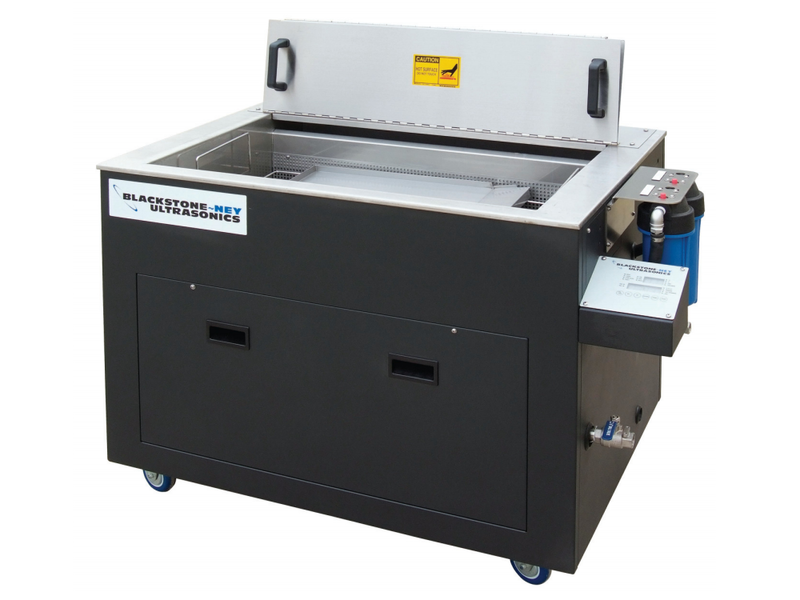 These ultrasonic cleaning machines consist of a few main components, first the cleaning tank which can vary in size depending on the application and your needs. There are also ultrasonic agitators, transducers, pumps and pressure generators, and housings for hoses, nozzles, and the reclamation system. Occasionally, an ultrasonic parts washer will have a drying unit as well, but some may not. There is also an option to have a rotating parts holder in order to ensure that every section of the part gets a thorough washing. These machines work through the use of ultrasonic sound which creates tiny bubbles in a cleaning solution, often water, inside the cleaning tank. The dirty part is lowered into the solution where these tiny bubbles hit the part and implode on contact loosening and cleaning the dirt or grime attached to the part. These implosions are strong enough to remove the contaminant but not strong enough to do any damage to the part itself. These bubbles are able to travel into the tiniest sections and gaps on the parts as high frequencies create smaller bubbles. Ultrasonic parts washers are used in a wide range of applications due to their ability to adjust frequencies and relatively universal need. They can be found in the automotive industry, as well as the pharmaceutical, beverage, medical, electronic, sports, marine, weapons and even the jewelry industry. No matter your application it is important to relay your requirements to the ultrasonic parts washer manufacturer of your choice. 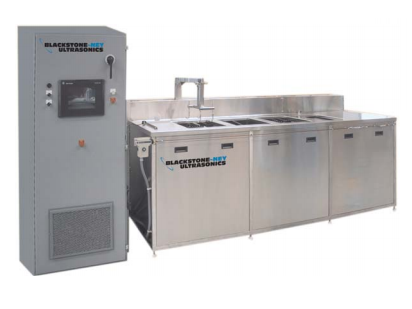 From there your manufacturer will provide you with the best possible ultrasonic parts washer for your needs, from an adequate tank size to additional features such as a drying unit or a rotating parts holder. Ultrasonic Parts Washers Ultrasonic parts washers are the best option when it comes to cleaning dirty, grimy, intricate manufacturing parts.